Puerto Vallarta's Home of Quality Affordable Chiropractic Care. Welcome to Bahia Chiropractic. 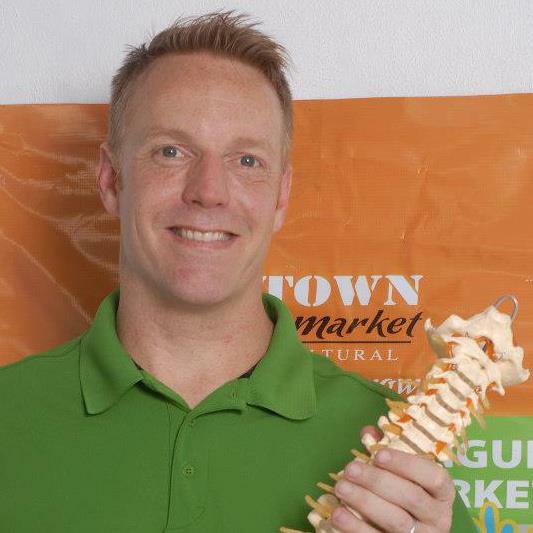 My name is Erik Fulfer, DC and as an American, Board-Certified Chiropractor who graduated from one of the largest chiropractic schools in the U.S.- Life University. I am excited to bring my years of experience to the friends and families of Puerto Vallarta. When I arrived in Puerto Vallarta I had only one goal in mind. To create an affordable, accessible chiropractic service that provides quality care while removing two of the biggest obstacles facing most patients today. Cost and Convenience. To make it as convenient as possible I care for my patients from two different locations in the bay. Monday, Wednesday and Friday I can be found inside the Mega in Bucerias. This location covers the north end of the bay (Nuevo Vallarta, Bucerias, La Cruz, Punta Mita, Sayulita and beyond). On Tuesday and Thursday I treat patients inside Plaza Romy in Old Town Puerto Vallarta. The cost of all visits are $400 pesos or the U.S. Dollar equivalent. There is never a new patient/first visit fee. Along with the overall restorative and preventative wellness qualities that Chiropractic provides, Chiropractic care is proven effective in relieving a wide array of conditions. Bahia Chiropractic prides itself in offering an affordable and convenient alternative to chiropractic care to the friends and families of the Bay of Banderas. .
$400 MXN per visit or $23 USD.